The Department of Social Economics and Management was founded in 2001. Prof. Juozas Bivainis supervised the department since its creation till 2011. Prof. Dr. Ilona Skačkauskienė supervised the department since 2012 till 2017. The Department of Management was formed in 2017 by reorganizing the departments of the faculty of Business Management. Prof. Dr. Ilona Skačkauskienė supervises the department since its creation. The mission of the department is having brought together top researchers and practitioners, conduct research in the field of management, collect and disseminate knowledge to the community, thus ensuring excellent study quality, enhancement if the department faculty competency and education of the society. The aim of the department is to enshrine the valuables, to form the community of lecturers, students and social partners and to aim the maximum giving a sense of academic activity to the extent of the university, the country and the world. 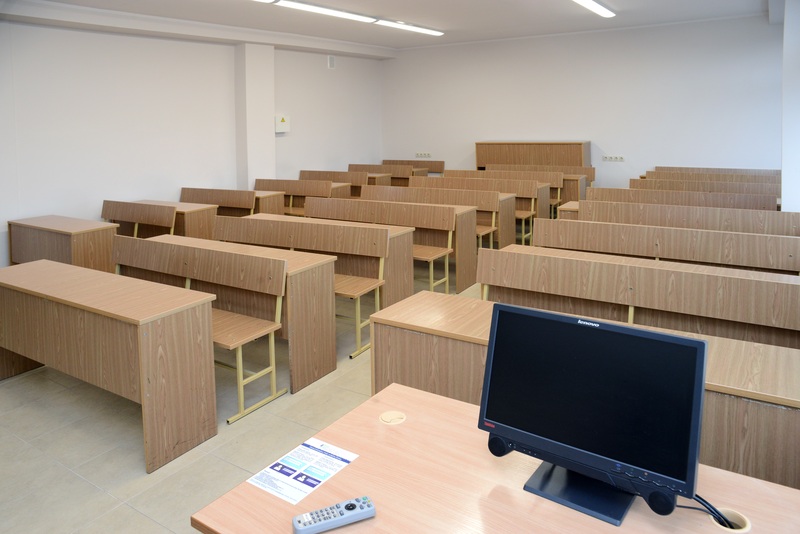 Exclusiveness of the department can be seen in the activity of the Management Department - to research management problems of contemporary organization by applying innovative methods and knowledge in the context of globalization. The fields of interest of the Department are as such: business environment and sustainable business development; knowledge potential development and innovations; strategic management and organizational resources; effectiveness of public management and research on public and private sector partnership; modern processes of marketing activities and consumer behavior. 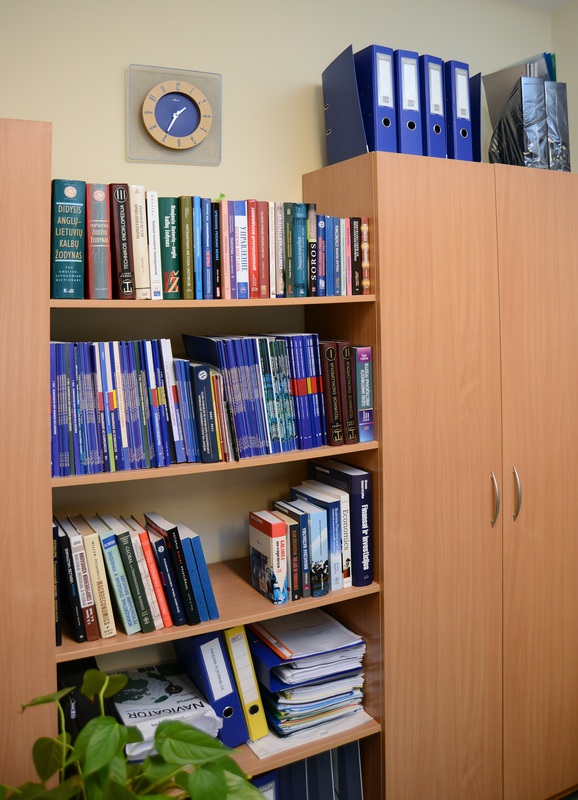 Annually are published over 40 scientific articles and one monograph in the department. The Department of Management coordinates the specialization of Business Environment Management of Business Management Program, the Organization Management program in Bachelor's Degree Study programmes and the specialization of Aviation Management and Entrepreneurial Leadership of Engineering Economics and Management program, the specialization of Social Business Management of Business Management program in Master's Degree Study programmes. Nowadays 3 Professors, 8 Associated Professors (doctors), 1 Associated Professor - Partner, 8 Assistant Professors work in the Department of Management. There are lectured subjects: Management, International Management, Fundamentals of Management, Organization of Public Sector, Research of Organization Environment, Introduction to Entertainment Industries, Analysis of Competition, Basics of Competition, Design of Business and its Environment Sustainable Development (complex project), Marketing, Marketing Research, Marketing Technologies (with course project), Marketing Management, Social Marketing, International Marketing and Communication (with course project), Strategic Management, Integrated Marketing Communications, Business Communication, Multimodal Communication, Intercultural Communication, Service Management, Entertainment Management, Management Theory, Learning Organization, Sustainable Business Development, Service Theory, Theory of Organization, Global Communication (with course project), Management of Airports, Airline Companies and Navigation Enterprises (with course project), Introductory, Professional and Scientific Practice and so on. June on 2001 year – the Department of Social Economics and Business Management was established by reorganizating the Department of Management and the Department of Economics to five Departments in the Faculty of Business Management. Since June on 2001 untill August on 2011 – Professor Habil. Dr. Juozas Bivainis was the Head of Department of Social Economics and Business Management. Since September on 2011 untill January on 2011 – Professor Dr. Arūnas Augustinaitis was the Head of the Department of Social Economics and Business Management. Since February on 2012 m. till now – Professor Dr. Ilona Skačkauskienė is the Head of the Department of Social Economics and Business Management. The first of July on 2017 year – the Department of Management was established. Head of its is Professor Dr. Ilona Skačkauskienė. The Department of Management has cooperation treaties with 13 social partners. 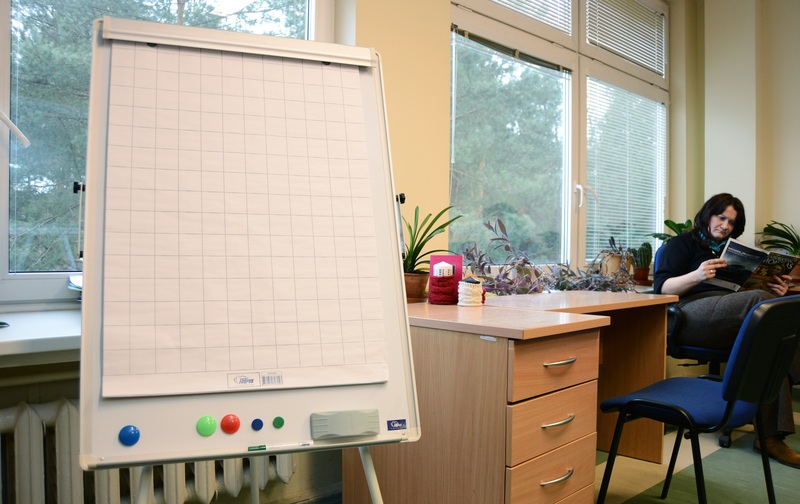 SOCIAL ORGANIZATION "THE GROUP OF THE PLACE ACTIVITY OF UKMERGĖ DISTRIC"
BUDGETARY OFFICE „ACCOUNTANCY OF BUDGETARY OFFICES"
• SRK-I 602 Cabinet of the Head of the Department of Management. • SRK-I 601 Cabinet of the Administrator of the Department of Management. • SRK-I 624 auditorium in which the classes take place. • SRK-I 603 trainers room of the Department of Management. Baltušnikienė, Jūratė; Bivainis, Juozas; Buškevičiūtė, Jolanta; Chlivickas, Eugenijus; Dūda, Mantas; Dvorak, Jaroslav; Matakas, Juozas; Melnikas, Borisas; Paliulis, Narimantas Kazimieras; Pauliukevičiūtė, Audronė; Petrauskienė, Rūta; Pivoras, Saulius; Raipa, Alvydas; Skietrys, Eugenijus; Smalskys, Vainius; Staponienė, Vida; Žilinskas, Gintaras. Modernus viešasis valdymas : kolektyvinė monografija / A. Raipa ir kiti ; [atsakingasis redaktorius Alvydas Raipa]. Kaunas : Vitae litera, 2012. 369 p. : iliustr. ISBN 9786094540509. [M.kr. : 03S]; [Aut. lankų sk. : 26,357]; [Ind. : 0,059] [Ind. aut. lankais: 1,550]. Skačkauskienė, Ilona; Okunevičiūtė Neverauskienė, Laima; Zabarauskaitė, Rasa; Andriušaitienė, Daiva; Tunčikienė, Živilė. Lietuvos socialinės ekonominės problemos ir jų sprendimo prielaidos : monografija / Ilona Skačkauskienė, Laima Okunevičiūtė Neverauskienė, Rasa Zabarauskaitė, Daiva Andriušaitienė, Živilė Tunčikienė. Vilnius : Technika, 2013. 168 p. ISBN 9786094575419. [M.kr. : 04S; 03S]; [Aut. lankų sk. : 11,690]; [Ind. : 1,000] [Ind. aut. lankais: 11,690]. Drejeris, Rolandas. Naujų paslaugų kūrimo ir diegimo kiekybiniai sprendimai: nuo idėjų generavimo iki sėkmės vertinimo : monografija / Rolandas Drejeris ; Aleksandro Stulginskio universitetas. Akademija : ASU Leidybos centras, 2015. 213 p. : liliustr. ISBN 9786094490798. [M.kr. : 03S]; [Aut. lankų sk. : 15,214]; [Ind. : 0,500] [Ind. aut. lankais: 7,607]. Bachev, Iavor; von der Crone, Caspar Diederich; Čižiūnienė, Kristina; Vasilis Vasiliauskas, Aidas; Vasilienė-Vasiliauskienė, Virgilija; Kapfenberger-Poindl, Ursula; Kuranovič, Veslav; Bezpartochnyi, Maksym; Živitere, Marga; Riashchenko, Viktoriia; Bezpartochna, Olesia; Kolnhofer Derecskei, Anita; Reicher, Regina Zs. ; Škudienė, Vida; Šukevičiūtė, Laura; Meidutė-Kavaliauskienė, Ieva; Leoński, Wojciech; Papšienė, Palmira; Švajdová, Lenka; Červinka, Michal; Jurča, Robert; Cícha, Pavel; Koudela, Petr; Andasarova, Radka; Kamburova, Lilyana; Markova, Maria; Kinderis, Remigijus (red. ); Petrova, Mariana (red.). Mechanisms of interaction between competitiveness and innovation in modern international economic relations : collective monograph. Riga : ISMA University, 2017. 188 p. [M.kr. : 03T,04S,03S] [Ind. : 0,122] [Ind. aut. lankais: 1,638]. Narayanan, Vijay; Peronja, Ivan; Plazibat, Ivana; Majewska, Justyna; Truskolaski, Szymon; Walaszczyk, Ludmiła; Belina, Beata; Ferraz, Diogo E.; Pereira, Elisabeth T.; Aksentijević, Nada Karaman; Ježić, Zoran; Bejaković, Predrag; Mrnjavac, Željko; Šimurina, Nika; Barbić, Dajana; Knego, Nikola; Delić, Mia; Śmigielska, Grażyna; Oczkowska, Renata; Davidavičienė, Vida; Sabaitytė, Jolanta; Davidavičius, Sigitas; Knežević, Blaženka; Stefańska, Magdalena; Stojković, Dragan; Tomé, Eduardo. Challenges for International Business in Central and Eastern Europe : scientific monograph. Kraków : Cracow University of Economics, 2017. 241 p. (Przedsiębiorczość Międzynarodowa : a biannual peer-reviewed academic journal; 2017, ISSN 2543-537X, eISSN 2543-4934 ; Vol. 3, no. 1). ISBN 9788365262127. [M.kr. : 08S,04S,03S] [Ind. : 0,042] [Ind. aut. lankais: 0,723]. Skačkauskienė, Ilona; Vilkaitė-Vaitonė, Neringa. Paslaugų vartotojų lojalumas : monografija. Vilnius : Technika, 2017. 168 p. ISBN 9786094760525. eISBN 9786094760518. DOI: 10.20334/2017-058-M. [M.kr. : 04S,03S] [Ind. : 1,000] [Ind. aut. lankais: 12,380]. Бахретдинова, Хосият; Демичев, Дмитрий; Дурманов, Акмал; Дустназарова, Санобар; Дятлов, Сергей; Жуков, Виктор; Зайцев, Владимир; Зайцева, Оксана; Закорецкая, Ольга; Казанбиева, Аида; Казанбиева, Наина; Ковалева, Эльвина; Корчмарь, Алексей; Кузнецова, Марина; Мокеева, Елена; Очир-Гаряева, Ирина; Peleckienė, Valentina; Потапова, Людмила; Сайбель, Наталья; Сайбель, Яна; Сантович, Елена; Свитин, Василий; Тулабоев, Агзамжон; Хузина, Лилия; Чехарина, Валентина; Шепелев, Данил; Шеуджен, Заира. Социально-экономические и правовые основы развития современного общества : монография = Socio-economic and legal bases for the development of modern society. Пенза : МЦНС «Наука и Просвещение», 2017. 222 p. ISBN 9785907012868. [M.kr. : 03S,04S] [Ind. : 0,220] [Ind. aut. lankais: 3,489]. Daukševičiūtė, Irena (aut., disert.). Modelling a commercial bankי s relationship marketing programme for small and medium-sized enterprises : summary of doctoral dissertation : social sciences, management (03S). Vilnius : Technika, 2013. 24 p. : iliustr. [M.kr. : 03S]; [Aut. lankų sk. : 1,714]; [Ind. : 1,000] [Ind. aut. lankais: 1,714]. Daukševičiūtė, Irena (aut., disert.). Komercinio banko ryšių su smulkiojo ir vidutinio verslo klientais marketingo programos modeliavimas : daktaro disertacija : socialiniai mokslai, vadyba (03S). Vilnius : Technika, 2013. 144 p. : iliustr. ISBN 9786094575655. [M.kr. : 03S]; [Aut. lankų sk. : 10,286]; [Ind. : 1,000] [Ind. aut. lankais: 10,286]. Drejeris, Rolandas. Methodological approach to innovations conceptualization process : from ideas generation until concept assessment // A new role of marketing and communication technologies in business and society : local and global aspects (NRMCTBS 2015) : collective monograph / editor: Y.S. Larina, O.O. Romanenko ; National University of Life and Environmental Science of Ukraine. Kyiv National Linguistic University St. Louis: Khusar Group, 2015, ISBN 9780615671567. p. 259-294. [M.kr. : 03S]; [Aut. lankų sk. : 2,571]; [Ind. : 1,000] [Ind. aut. lankais: 2,571]. Katinienė, Aušra. Organizacijos darbuotojų žinių sinergijos vertinimas = Evaluation of organisation employee knowledge synergy. Vilnius : BĮ UAB „Baltijos kopija“, 2018. 178 p. [M.kr. : 03S] [Ind. : 1,000] [Ind. aut. lankais: 12,714]. Malinauskaitė, Vilija. Regiono patrauklumo vertinimais grindžiama tarptautinio turizmo plėtros vadyba. Vilnius : Leidykla Technika, 2017. 180 p. [M.kr. : 00] [Ind. : 1,000] [Ind. aut. lankais: 12,857]. Peyravi, Bahman. Modelling of international transfer of good practices of innovation management under conditions of European integration = Tarptautinio gerosios inovacijų vadybos praktikos perdavimo Europos integracijos sąlygomis modeliavimas. Vilnius : Technika, 2017. 126 p. [M.kr. : 03S] [Ind. : 1,000] [Ind. aut. lankais: 9,000]. Korsakienė, Renata; Grybaitė, Virginija; Šimelytė, Agnė. Strateginis organizacijų valdymas: teorija ir praktika : vadovėlis. Vilnius : Technika, 2017. 240 p. ISBN 9786094760341. eISBN 9786094760334. DOI: 10.20334/2017-036-S. [M.kr. : 03S] [Ind. : 0,480] [Ind. aut. lankais: 7,896]. Melnikas, Borisas; Jakubavičius, Artūras; Strazdas, Rolandas; Chlivickas, Eugenijus; Lobanova, Liudmila; Stankevičienė, Jelena. Intelektinis verslas : vadovėlis = Intellectual business. 2-oji laida. Vilnius : Technika, 2017. 456 p. ISBN 9786094576355. eISBN 9786094576348. DOI: 10.3846/1498-S. [M.kr. : 03S,04S] [Ind. : 0,166] [Ind. aut. lankais: 5,395]. Drejeris, Rolandas. Maitinimo įmonių veiklos vadyba / Rolandas Drejeris. Vilnius : Baltos lankos, 2011. 343 p. : iliustr. ISBN 9789955234623. [M.kr. : 03S]; [Aut. lankų sk. : 24,500]; [Ind. : 1,000] [Ind. aut. lankais: 24,500]. Skačkauskienė, Ilona. Valstybės ir savivaldybių biudžetų pajamos / Ilona Skačkauskienė. Vilnius : Technika, 2012. 124 p. ISBN 9786094571367. [M.kr. : 03S]; [Aut. lankų sk. : 5,750]; [Ind. : 1,000] [Ind. aut. lankais: 5,750]. Mikštienė, Rūta. Derybų strategija : mokomoji medžiaga su praktinėmis užduotimis / Rūta Mikštienė; Socialinių mokslų kolegija. Klaipėda : S. Jokužio leidykla-spaustuvė, 2012. 200 p. ISBN 9789986313748. [M.kr. : 03S]; [Aut. lankų sk. : 14,286]; [Ind. : 0,500] [Ind. aut. lankais: 7,143]. Tamošiūnas, Andrius. Vadybos funkcijos ir priemonės : mokomoji knyga / Andrius Tamošiūnas. Vilnius : Technika, 2013. 146 p. ISBN 9786094574375. [M.kr. : 03S]; [Aut. lankų sk. : 12,070]; [Ind. : 1,000] [Ind. aut. lankais: 12,070].